There are some artifacts in history that historians do not agree on. Although a lot of researchers and code-breakers have tried to prove or disprove them, there are still, to this day, many things that remain a mystery. 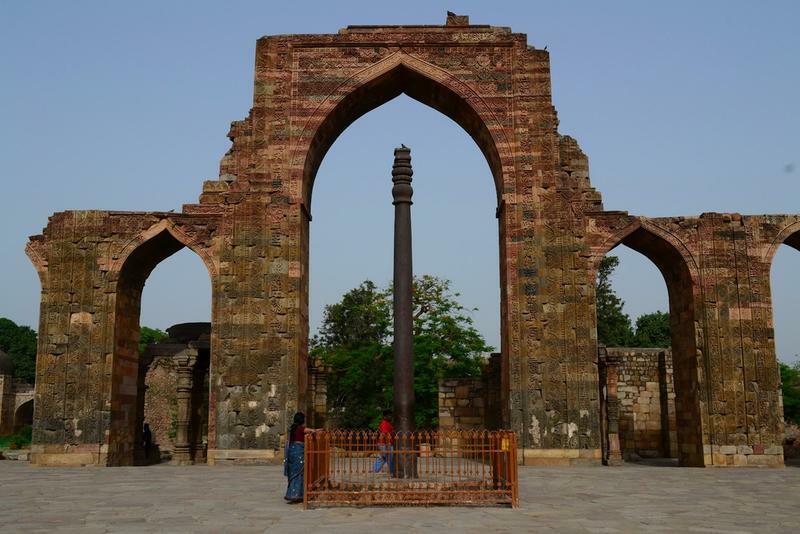 Built during the rule of Chandragupta II, with an advanced metallic composition that is only known to the builders, this Iron Pillar of Delhi is 1,600 years old and hasn’t rusted despite its age. Standing 22 feet high, according to experts, it was probably built by welding pieces of wrought iron together. The iron’s high phosphorus content produces a protective film that covers the surface of the iron which keeps it from rusting. A one-of-a-kind, this pillar has, and still does, puzzle and impress tourists as well as historians, being constructed by the only culture in the world, at the time, to possess the capability. This map dates back to 1513 AD, which was created by Piri Reis, at least according to the map. Piri Reis was an Ottoman admiral and cartographer. The map outlines the coast of Europe, Africa, the Caribbean Islands, and South America pretty well – no surprise there – but what is so baffling about it is that he also depicts on the map, several places that hadn’t been discovered yet like Nova Scotia, the coast of Antarctica, and the Andes Mountains. How would he know to put these on the map? He must have had some inside information but how would he have gotten it? 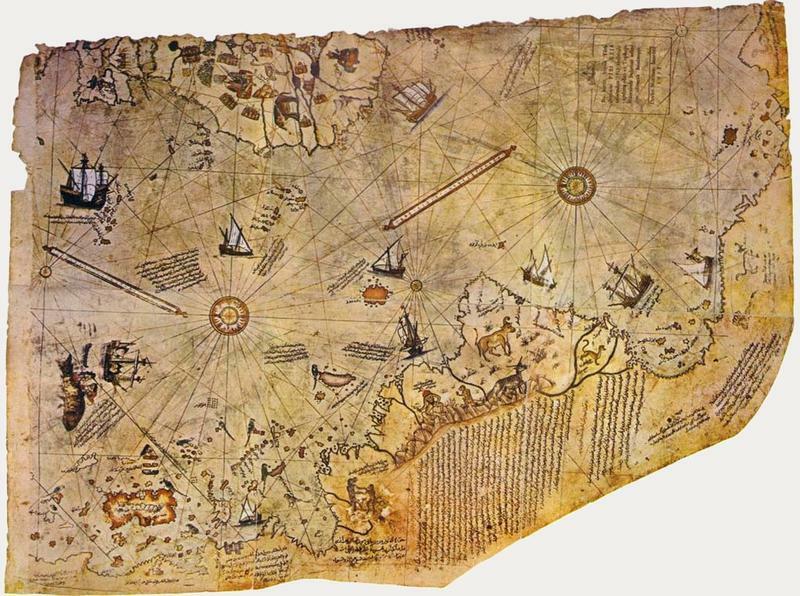 Piri also referred to other sources like maps from the early Indians, Ptolemaic Egypt, early Arabic maps, and even the lost map of Christopher Columbus. 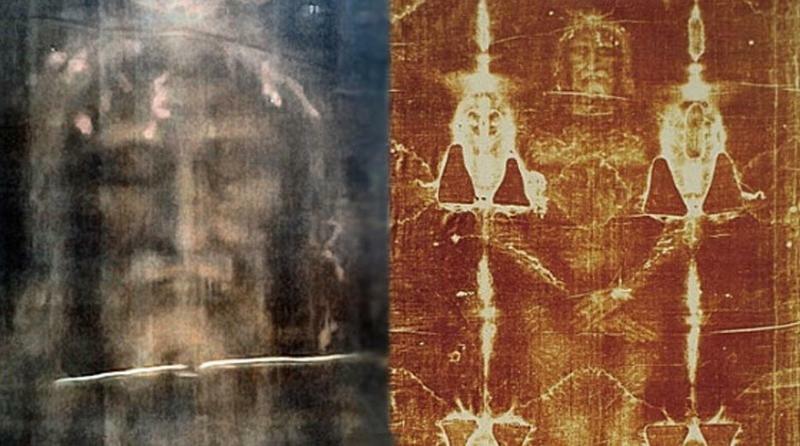 One of the most studied and yet, controversial, artifacts of all is the Shroud of Turin. There have been numerous debates among theologians and historians. It is the linen cloth that appears to have a faint image of a man who was crucified on it. Many believe it to be the burial cloth of Jesus Christ. There have been thousands of hours of scientific study and research done on the shroud. The cloth has undergone many tests by scientists and various experts trying to prove or disprove its authentication. Among the many tests done, there were biological and medical forensics done on the blood stains. Even though it was not determined whether they were produced at the same time as the image or later, it was determined that it was blood from the AB blood group. Currently, it is kept in a laminated bulletproof glass in an airtight case in the Cathedral of Saint John the Baptist in Turin, Italy. Whether they truly believe it is a divine linen cloth or not, two popes have claimed that it is an icon of Christianity. In 1933, in a grave in the Toluca Valley, which is 43 miles from Mexico City, a figurine was discovered that is made from terracotta. According to the archaeologist, Romeo Hristov, that was proof for trans-oceanic contact between the Romans and Mesoamericans. 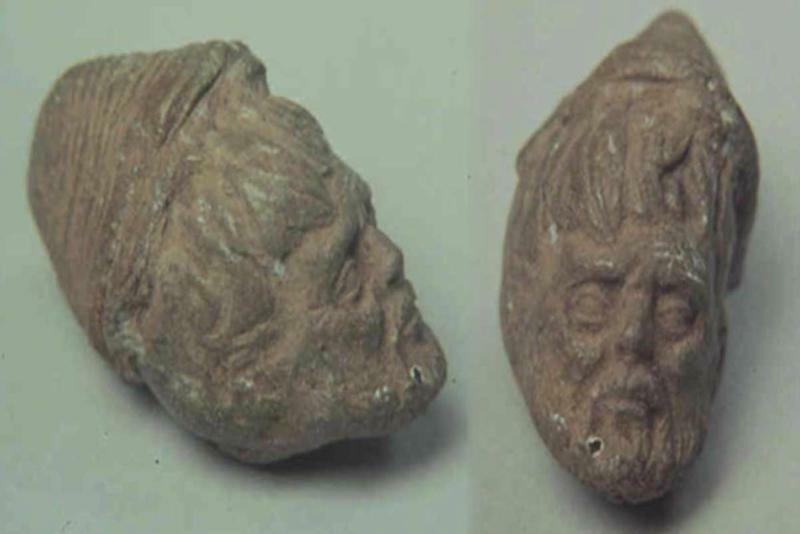 In 2001, Hristov indicated that the head dated back to the 2nd Century AD, while later tests done in 1995, date it back to between the 9th and 13th centuries AD. There are different views, some of which believe, that the head was brought to America during the Spanish Colonial era, while others believe it all just a big hoax. 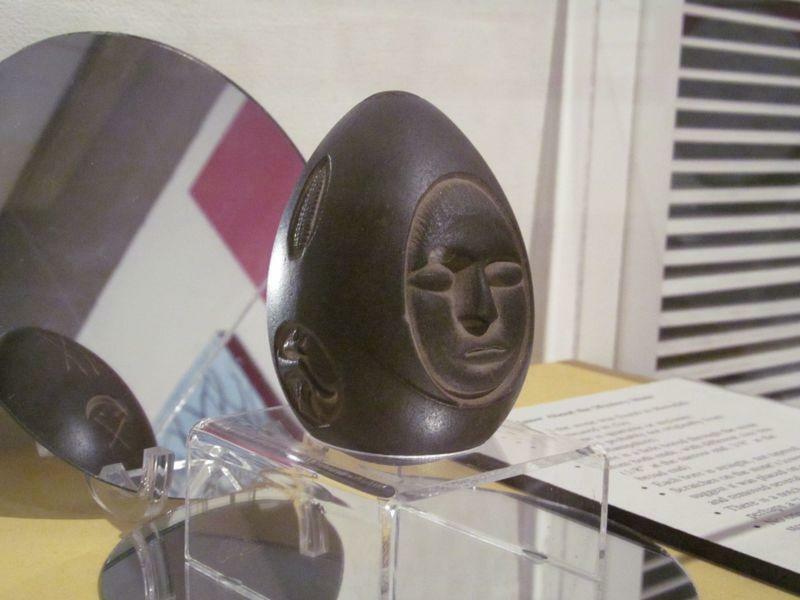 This quartzite stone that is shaped like an egg was discovered in 1872, in New England, off the coast of Lake Winnipesaukee. The carvings on it include a face, an ear of corn, and some very mysterious circles. Besides these carvings, there are two holes in both ends of the stone, which are almost perfect holes that make it look as though it had to have been done by a power tool, and not from simple boring techniques, which were used by the Native Americans during that time. According to the American Naturalist, it is believed that the object may have been used as a commemoration for a peace treaty between tribes, but that is just an assumption. No one really knows the purpose of it. No one knows who made it or why but it was donated to, and is, on display in the Museum of New Hampshire History. On January 2, 2014, many residents and officials in Northern Vietnam were simply baffled, when three mysterious metallic spheres just dropped right out of the sky, following an explosion. The first of these unidentified orbs was found in Tuyen Quang Province after the residents heard a loud noise. It weighed 50 kg and had Russian letters written on it. Two more spheres were found in Son La Province and Yen Bai Province the same day, but hollow and weighing 6 kg each. Authorities, who are considered to be competent, worked to try to identify the objects. Initially, they determined them to be devices for meteorological research, but may well probably be compressed air tanks of a rocket or aircraft. 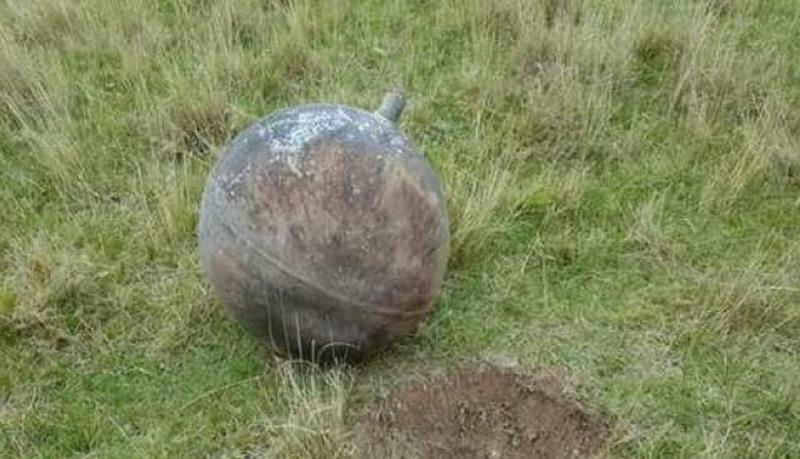 On January 2, 2016 (two years later) the body of a Russian SL-23 Rocket Body, at exactly the same place, re-entered the earth, so it is assumed that these strange spheres are probably part of its space junk.